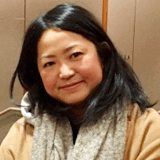 Kanako Ishikura serves as one of the 2019-2020 TOMODACHI Alumni Regional Mentors of the Tohoku-Hokkaido Region. 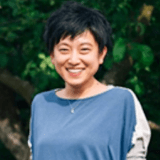 She currently works for Pasona Group based in Kamaishi, Iwate Prefecture, and is in charge of the Kamaishi Local Venture Program, which cultivates new business ventures to address local challenges to bring value to the region. She also facilitates partnerships between participants and other local businesses as well as with the local government administration. She is striving to create a sustainable ecosystem to support entrepreneurs that create social value in the Tohoku Region. In 2018, she became part of the TOMODACHI Generation when she participated in the TOMODACHI-Mitsui & Co. Leadership Program. Kanako was born in Toyama prefecture, Japan. She majored in International Relations, Tsuda College, Tokyo, with a focus on creating social businesses in developing countries. After the Great East Japan Earthquake in 2011, she took a year of professional leave to volunteer in the disaster-affected areas of the Tohoku region, assisting with community projects and the recovery of the local tourism industry. She loves music, animals, nature and camping. Yukari Yoshimura serves as one of the 2019-2020 TOMODACHI Alumni Regional Mentors of the Tohoku-Hokkaido Region. 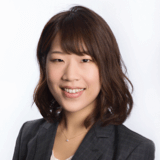 She currently works for the Prefectural Government of Miyagi and is in charge of Miyagi Prefecture’s sister-state relationship with the State of Delaware and works to promote Miyagi food products in the American marketplace. In a previous division, she was in charge of promoting gender equality by planning various seminars and events. In 2017, she joined the TOMODACHI Generation when she participated in the TOMODACHI-Mitsui & Co. Leadership Program. In University, she studied in California for about a year as an exchange student and the United States hold a special place in her heart. Hiroko Hiraki serves as one of the 2019-2020 TOMODACHI Alumni Regional Mentors of the Kanto Region. She participated in the TOMODACHI-UNIQLO program from 2015-2017 to earn her masters degree for Global Fashion Management at the Fashion Institute of Technology (FIT) in New York. After completing her studies, she returned to Japan and currently works as a Merchandise Planner for the retail channel at Luxottica in Japan; an Italian Eyewear company. Prior to her studies at FIT, she worked for Amina Collection coordinating with artisans on the arts of traditional crafts and techniques – particularly in buying, production, sourcing and many other overseas related projects. Hiroko is a graduate of International Christian University in Tokyo with a BA in Liberal Arts majoring in political science. As a mentor, she looks forwards to interact with young people and help them in anyway she can from her experiences. 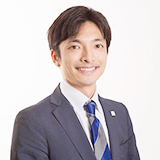 Kenji Negi serves as one of the 2019-2020 TOMODACHI Alumni Regional Mentors of the Kanto Region. Kenji is a shin-nisei Japanese American originally from Chicago, IL. His first major involvement with TOMODACHI was through the TOMODACHI Emerging Leaders Program in 2016 held at the U.S.-Japan Council (USJC) Annual Conference in Santa Clara, California, where he connected with like-minded Japanese and Japanese-Americans who were invested in strengthening the bilateral relations with both countries. Kenji has continued to be an active USJC member in both Chicago and Tokyo, where he resides now. He’s very much looking forward to learning from, and learning with other TOMODACHI alumni in the region. In his free time he enjoys reading up on the latest news in IT, hiking around the mountains outside of Tokyo, and trying to cook up new dishes. Kenji is a graduate of DePaul University in Chicago with degrees in Economics and International Studies. 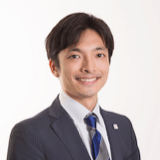 Shinichi Fukunaga serves as the 2019-2020 TOMODACHI Alumni Regional Mentor of the Chubu-Hokuriku Region. 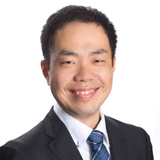 He has worked for Takeda Pharmaceutical Co. Ltd. since 2009 and is currently a clinical scientist engaged in the clinical development of pharmaceutical drugs in the company with an over 230-year history. Striving to bring innovative medicine to patients worldwide, he is communicating, cooperating, and moving forward with colleagues inside and outside of the country. He joined the TOMODACHI Generation in 2017 when he participated in the TOMODACHI-Mitsui & Co. Leadership Program. 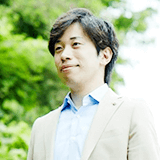 Shinichi received a Master degree in pharmaceutical sciences in 2005 in Kyoto University. 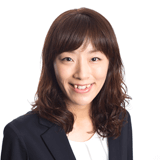 Miki Sakata serves as the 2019-2020 TOMODACHI Alumni Regional Mentor of the Kansai-Chugoku-Shikoku Region. She is currently a project manager for clinical studies in the pharmaceutical industry and works to support patients waiting for new treatment drugs. She is currently developing a new drug for blood cancer patients with her global colleagues located all over the world. Miki has a strong passion to build a “team” and she believes that strong teamwork creates synergy and can turn any difficulty into achievable goals. Born and raised in Tokyo, she currently lives in Hyogo Prefecture. Miki joined the TOMODACHI Generation when she participated in the TOMODACHI-Mitsui & Co. Leadership Program in 2018 and visited Boston and Washington DC. Wherever she is, she is always thanks for the music and enjoy playing drums in a band. Miki holds a master’s degree of biology. 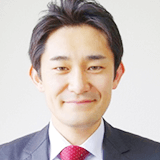 Shotaro Kurata serves as the 2019-2020 TOMODACHI Alumni Regional Mentor of the Kyushu Region. He was born and raised in Kyushu, studied in Tokyo, and has worked for the Kyushu Railway Company (JR Kyushu) since 2005. Since December 2018, he is in charge of grasping new business opportunities through a strategic investment. Prior to his current position, he led the administrative improvement project (turnaround project) for two and half years at JR Kyushu Hospital. He was also in charge of international affairs as an assistant manager of the Strategy Management Department at JR Kyushu from 2012 to 2016. He received an MBA in 2012 at Simon Business School, University of Rochester, in N.Y. focused on Corporate Strategy. Shotaro joined the TOMODACHI Generation when he participated in the TOMODACHI-Mitsui & Co. Leadership Program in 2015. 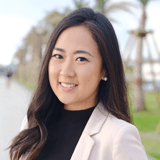 Sarah Arao serves as the 2019-2020 TOMODACHI Alumni Regional Mentor of the Okinawa Region. She was born and raised as a third generation Japanese-American in Okinawa. She holds a Bachelor of Arts in English studies from Okinawa International University. Post graduation, she has been active in various fields such as business and education as an executive assistant, interpreter, translator and teacher. She currently works in the education field and is passionate about teaching students to broaden their knowledge and capabilities. Sarah has held international networking events that were only possible in Okinawa, between local companies and the United States Military to improve relationships and foster a positive environment. She joined the TOMODACHI Generation when she participated in the TOMODACHI Metlife Women’s Leadership Program as a mentor. She enjoys organizing international activities in the U.S. and Japan; focusing on bilateral engagements to encourage people as well as expand on the attraction of Okinawa. Kazunori Ishii is a director at the Kamaishi City Office, focused on overcoming population decline and revitalizing the local economy. He was born in Aichi Prefecture, and received a BA in Liberal Arts from International Christian University, Tokyo. In Kamaishi City, more than 1,000 people were killed by the Great East Japan earthquake on 11 March 2011. Ishii has four year experience in various projects, including the development of a comprehensive strategy based on 700 interviews called “the Kamaishi Resilient Strategy”, supporting the recruitment activities of companies in the disaster affected area in collaboration with large enterprises in Tokyo, the launch of an organization for community development, the introduction of an On-Demand Bus to rebuild the public transportation, promotion of overseas internships including Global Management Immersion Experience (GMIX) of Stanford Graduate School of Business, and the development of public relations, including more than 100 exposures in the media. Ishii participated in the TOMODACHI-Mitsui & Co. Leadership Program in 2016. Minori Kato has a wide range of experience in the energy sector that includes Sales, Public Relations, Nuclear Power and Fuels procurement. Currently, she is a LNG Buyer, procuring LNG contracts from various countries including shale gas from the United States. At the time of the Great East Japan Earthquake, she was working at the Nuclear Power Department, producing press release materials to report and update the status of her company’s Nuclear Power Plants to the local government the public. As a working mother of two children, Kato is keen on improving awareness and work conditions for future female leaders in Japan. In 2014, she attended a leadership program in Norway designed to develop female leaders in Tohoku. In 2015, she participated TOMODACHI-Mitsui & Co. Leadership Program. 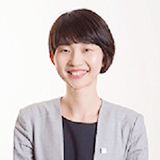 She graduated from Keio University with Bachelor of Arts in Policy Management, and currently pursuing Masters study in Public Policy at Tohoku University. 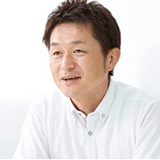 Ryuta Kamikokuryo is CEO of PACARE Corporation and Founder and Chairman of the NPO Idouhoiku Project, a traveling daycare that began in July 2011 after the Great East Japan Earthquake. Originally from Kagoshima prefecture, he attended university in Fukushima and returned after spending a few years in Tokyo to devote himself to the care of young children in Fukushima prefecture post-3.11. Ryuta took part in the TOMODACHI NGO Leadership Training Program supported by J.P. Morgan in 2013 when he traveled to Seattle and San Francisco as part of the NPO Study Tour that focused on NPO leaders in the Tohoku Region committed to improving the lives of those affected after the Great East Japan Earthquake. Ms. Ishiyama is an alumna of the TOMODACHI FIRST (Food Innovation for Regional Sustainability in Tohoku) Program. From 2008 to 2011, Ms. Ishiyama managed planning and public relations in the marketing department of a beverages manufacturer in Tokyo. She then transitioned to media relations, media consulting and visual production for small to mid-sized businesses, and returned to the food industry in 2013. She visits farmers and creates promotional materials and provides sales and product development support based on the "producers' voices." She also enjoys hosting food events, dietary educational workshops, local tours, and farmers' markets as opportunities for producers share their message. 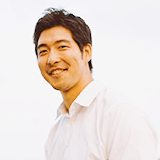 Steve Sakanashi is the founder of Sekai Creator, an entrepreneurship program that trains Japanese university students to become global and entrepreneurial leaders. He is a TEDx speaker and co-founder of Zubits Japan, the Japanese expansion of a Kickstarter-backed gadget that eliminates the need to tie shoe laces. 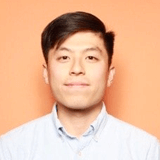 He is also a partner at Labs8, a Seattle based venture builder, where he searches for startup teams and problems with untapped potential. As a yonsei in Japan, Sakanashi is passionate about being a bridge for Japan and the US and enjoys serving as a mentor to TOMODACHI alumni in the Kanto region. Originally from Los Angeles and Seattle, he currently lives in Tokyo with his wife, Joy, and their two young sons, Isamu and Shotaro. Sakanashi participated in the TOMODACHI Emerging Leaders Program as a delegate of the 2015 Class. Ginger Koto Vaughn is a media specialist with a background in journalism and communications. She is currently a professor of media and global public relations at Akita International University. Atsushi Suhara works at the Human Resource Development Department of ICNet Limited, an international development consultancy firm, where he works to cultivate human resources both in Japan and other counties (especially in developing counties), organize study tours and internship programs in mainly Asian countries for college students and young professionals who are willing to work globally in the future; and conduct trainings to introduce technical knowledge for professional aid workers (especially NGO/NPO staff in Japan). Suhara mainly manages these training programs for NGO workers, manages business and creates study tours for graduate students at Keio University’s Executive MBA program, and supports JICA Knowledge Co-Creation Program that targets fishery workers in Asia and Africa. Prior to his current position, he worked as a development support and emergency response officer with ADRA Japan, where he supervised and managed several development aid programs in Nepal. 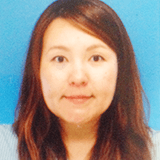 Suhara is also a registered medical coordinator for the Japan Disaster Relief Team (JICA JDR). Suhara was born and raised in Chiba and currently lives in Tokyo. Suhara participated in the TOMODACHI NGO Leadership Program supported by J.P. Morgan in 2015. Tsutomu Sugano is the founder, President and CEO of ACT FREAK Inc. that aims to change the way people think and work in Japan. The company trains people with disabilities to enhance their employment opportunities, and also offers English lessons through cooking or doing an event. Tsutomu began his company in 2014 by providing business training to new employees and people with disabilities. Prior to starting his own business, Tsutomu worked as a production engineer at Toyota Motor Corporation for ten years after graduating from Chuo University with a major in mechanical engineering. Tsutomu participated in the TOMODACHI-Mitsui & Co. Leadership Program in 2014. 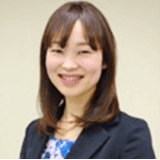 Yuko Nakaoka is the SelectUSA Commercial Specialist at the U.S. Consulate General, Osaka-Kobe. She is responsible for promoting and supporting foreign direct investment (FDI) from Japan to the United States. Yuko has over ten years of experience in strengthening U.S.-Japan relations. 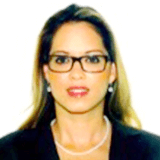 She joined the U.S. Mission in October 2015 after working at the American Chamber of Commerce in Japan (ACCJ), Kansai Chapter for seven years as the Operations Manager. Born in Nishinomiya, Yuko grew up in Ashiya, Hyogo prefecture. Her family lost their home in　the Great Hanshin Awaji Earthquake and relocated to Takarazuka during reconstruction following the disaster. Yuko has in depth experience working at Japanese and international organizations in Japan and the U.S., but she calls Kansai home. 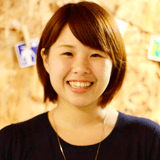 Yuko participated in the TOMODACHI MetLife Women’s Leadership Program as a mentor in 2014 - 2015. She was also selected and attended the Japanese Women’s Leadership Initiative (JWLI) Fellows Program in Boston, Massachusetts in 2015 funded by the Fish Family Foundation. Shotaro Kurata was born and raised in Kyushu, studied in Tokyo, and has worked for Kyushu Railway Company (JR Kyushu) since 2005. Since early June 2016, he was assigned as a deputy manager of JR Kyushu Hospital to lead the administrative improvement project team. Prior to being transferred to the Hospital, he was in charge of international affairs for four years as an assistant manager of the Strategy Management Department at JR Kyushu. At that position, he established and maintained the connection with other railway companies overseas such as NS in Netherland and SRT in Thailand. Kurata has also attended international conferences such as ITF held in Leipzig, Germany to represent the company. 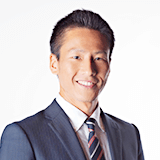 Kurata received an MBA in 2012 at Simon Business School, University of Rochester, in N.Y. focused on Corporate Strategy. Mai Taira has been in the Human Resources field for over ten years, and she currently serves as the principal advisor on youth and adult civilian dependent misconduct program for USAF, Kadena Air Base. Her career background consists of working in most aspects in HR with hospitality management experiences at MGM Grand hotel and casino in Las Vegas, Nevada. Additionally, she is an active member of American Exchange Program Alumni of Okinawa (AEPAO) and enjoys sharing her overseas experiences with young Okinawan students on study-abroad opportunities and hosting Asakatsu English coffee socials to encourage local populace with participating in U.S.-Japan bilateral activities. Taira holds two Bachelor degrees: B.A. in Humanities from University of the Ryukyus and B.S. in Hospitality Management from University of Nevada, Las Vegas.